Lydia Loveless Covers Ke$ha For Record Store Day | True Endeavors Presents: music, tours, tickets, mp3 downloads, concert pictures, videos, Madison WI. 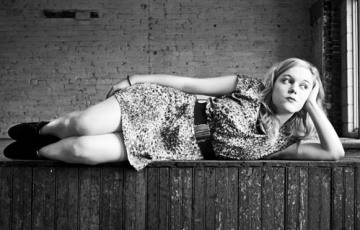 Lydia Loveless, the little lady with the big voice, is one of many artists offering an exclusive Record Store Day Release this Saturday, April 19. You can track down the rising alt-country star’s genre-jumping cover of Ke$ha’s “Blind” in stores tomorrow, but NPR has a sneak peek available right now. Don’t forget to pick up your tickets to see Lydia live in Madison at the High Noon Saloon next Wednesday, April 23!